BARCELONA, SPAIN - FEBRUARY 9, 2016: Closeup Of Casa Mila La Pedrera In Barcelona, Catalonia. House Was Built In 1905 To 1910 By Catalan Architect Antoni Gaudi. Royalty Free Fotografie A Reklamní Fotografie. Image 53090303. Reklamní fotografie - BARCELONA, SPAIN - FEBRUARY 9, 2016: Closeup of Casa Mila La Pedrera in Barcelona, Catalonia. House was built in 1905 to 1910 by Catalan architect Antoni Gaudi. BARCELONA, SPAIN - FEBRUARY 9, 2016: Closeup of Casa Mila La Pedrera in Barcelona, Catalonia. 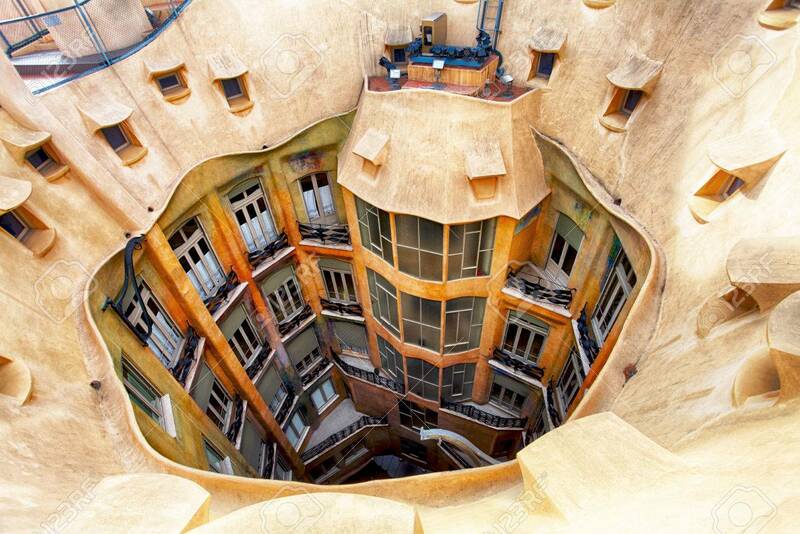 House was built in 1905 to 1910 by Catalan architect Antoni Gaudi.